January has to be one of my favourite months for staying at home on a Sunday and baking. Which is exactly how this cake came to be. 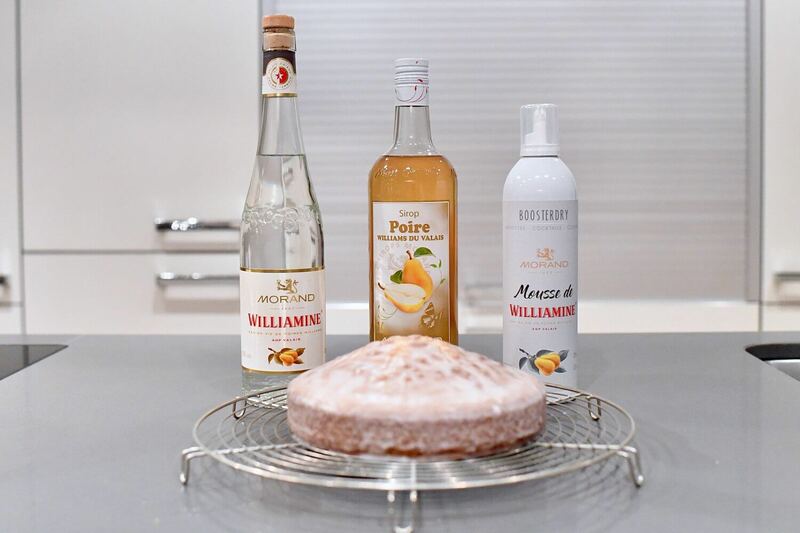 Helped along somewhat by the wonderful parcel received in the mail from Morand, containing a bottle of Williamine Brandy, Poire Syrop and a Williamine Mousse. This got my imagination going. Keep reading for The FunkyForty Booze Cake recipe. In a separate dish mix together the flours, baking powder and baking soda. Add the milk and the flours bit by bit to the butter/ egg mixture, stirring continuously. Bake for 60 minutes or until a skewer comes out clean when inserted into the middle of the cake. Once cooked leave to cool for 10 minutes and then whilst cake is still in the tin drizzle generous amounts of the Poire Syrop over the cake. Leave in tin to totally cool before icing. 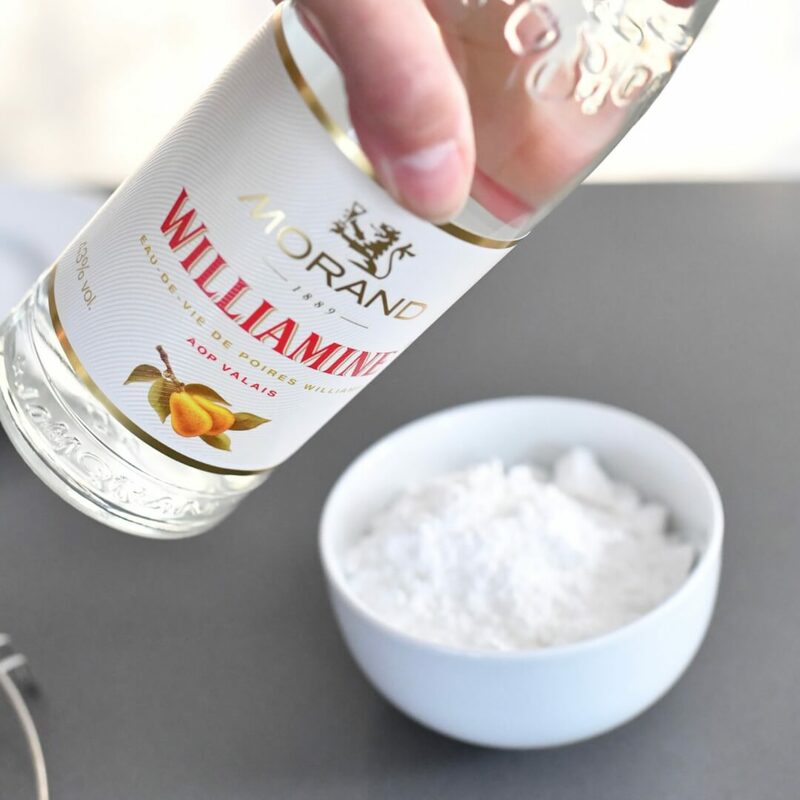 Icing sugar, Williamine Brandy and a little water mixed together to create your own preferred consistency. 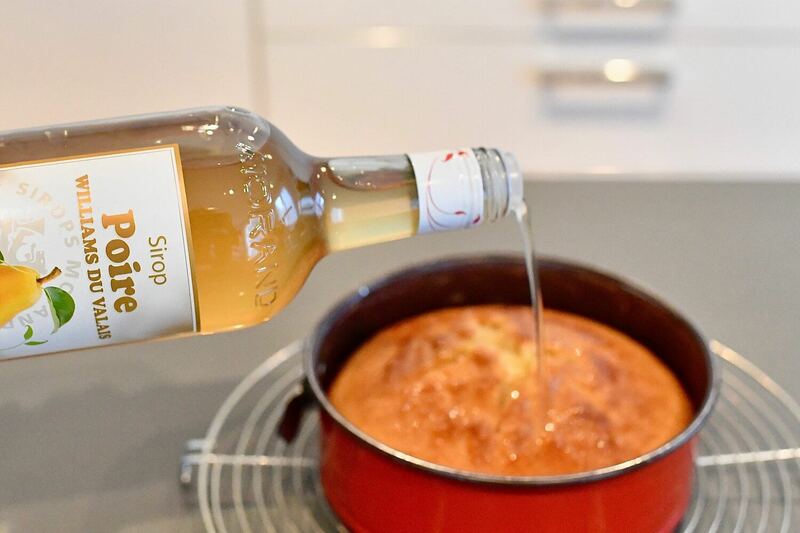 Pour evenly over the cooled cake. 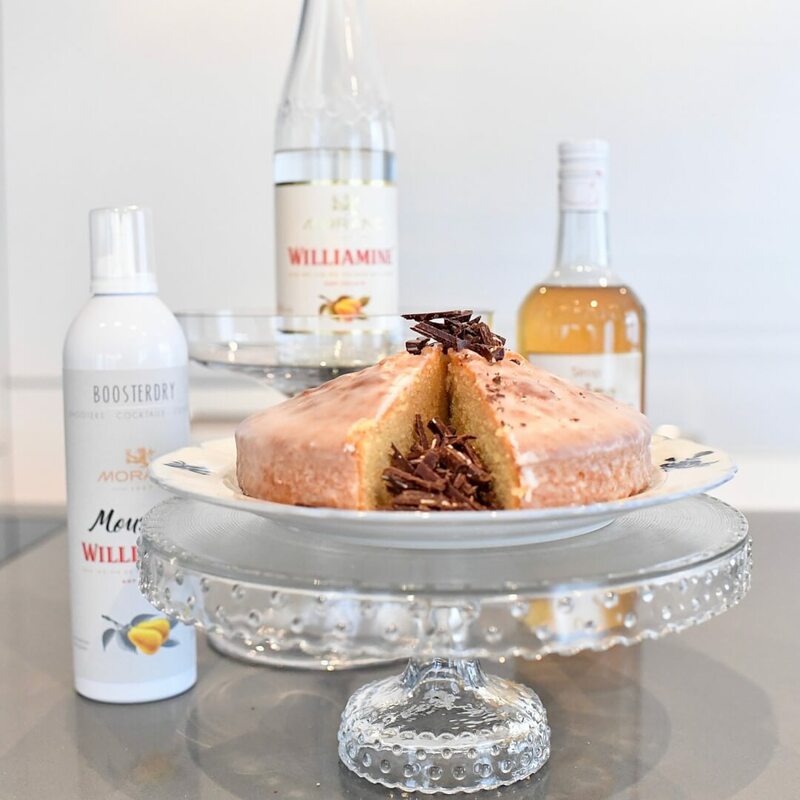 Serve cake with generous helpings of Williamine Mousse – I promise your guests will love you for it – smile! 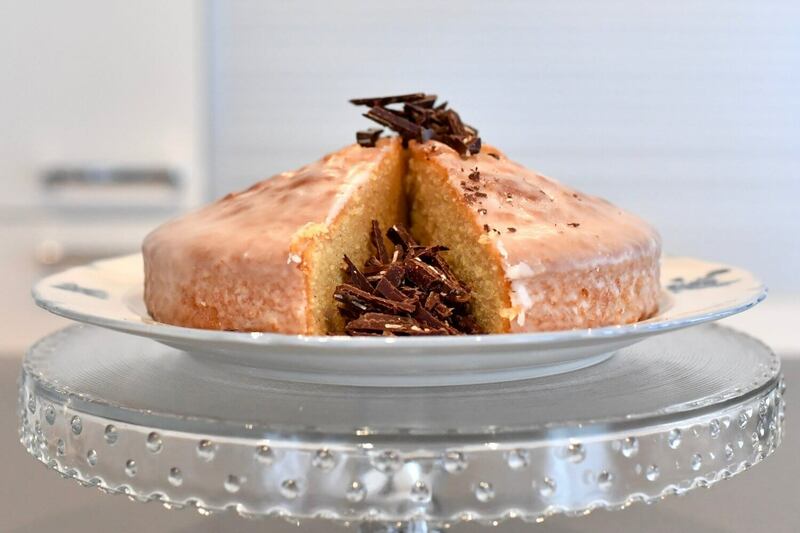 The comment section is at the end of the post, I love reading all your comments and am open to any more cake recipe suggestions! Your hair is looking fabulous, Yvonne. 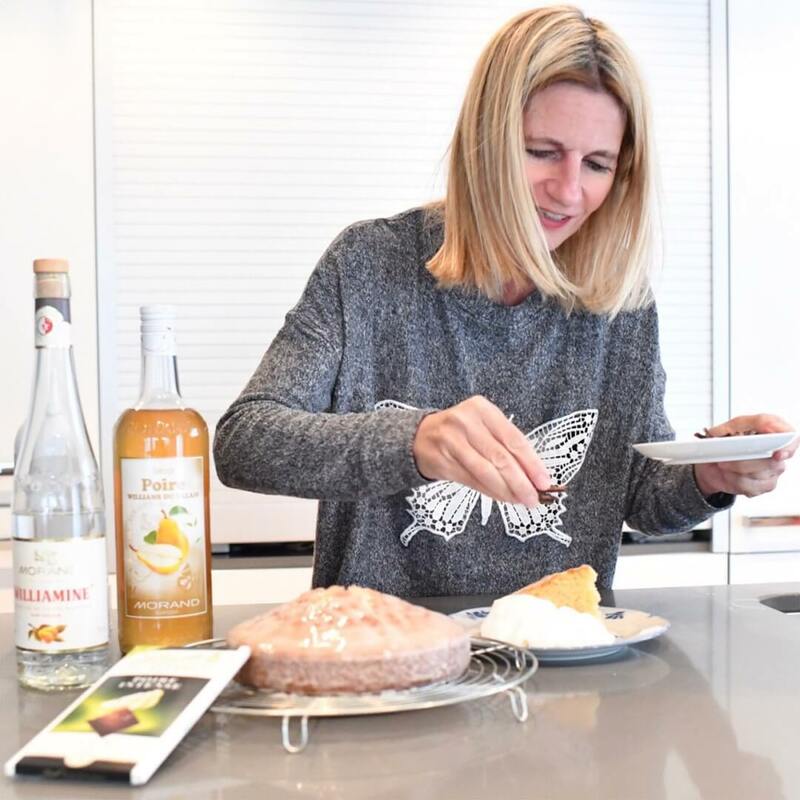 Is there an alternative to the Poire Syrop? I don’t think I can get that here. 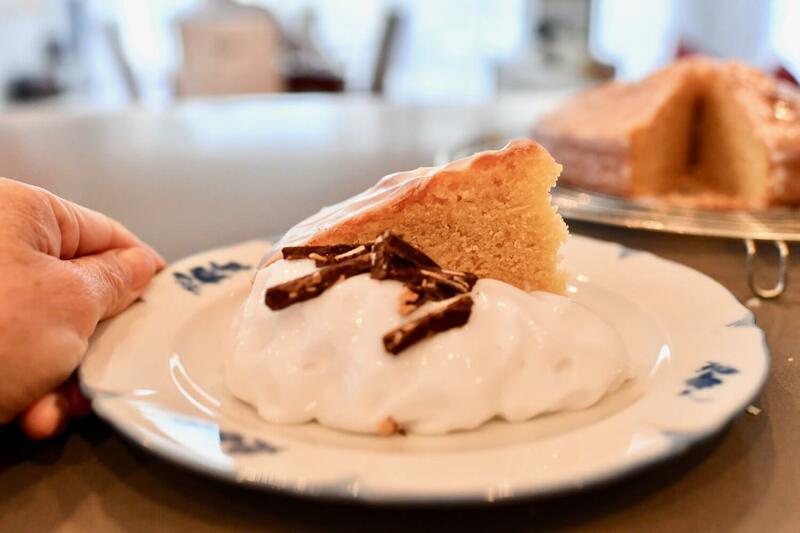 The mousse sounds wonderful too, but I guess some whipped cream might work in it’s place. Amazing content on your site. I’ll try a couple of these recipes in the very near future. I guess though I’ll have to move to Europe to get the mousse and poire syrup hahaha……I’m in America.